My wife and I love exploring old, forgotten places that seldom (if ever) receive mention in a travel guidebook. That is one of several reasons why you will find us camped in the boondocks. Seldom-visited attractions in remote areas equate to lack of supporting services like motels, restaurants, and RV parks. 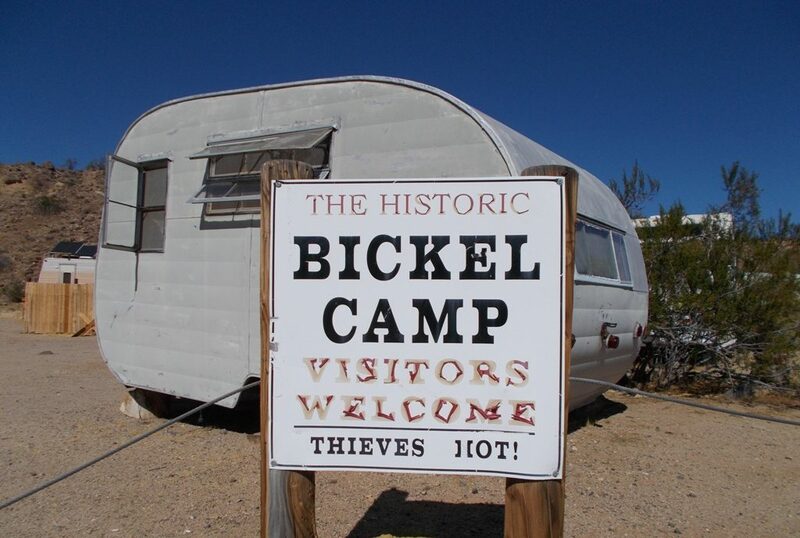 Such is the case with Bickel Camp in California’s El Paso Mountains. Like the thousands of people before him, Walt Bickel came to the El Paso Mountains in the 1930s in search of gold. His diggings became known as Bickel Camp. While he didn’t make much money mining gold, he did scratch out a living and called the place home until 1987 when the BLM came to evict the elderly Bickel considering him a squatter. Hours before their arrival, Walt suffered a stroke and was taken to an area hospital. Outraged friends and family rallied to save Walt’s home of over 50 years, plus his impressive accumulation of equipment. A settlement was reached allowing the camp to remain as a museum for the benefit of the public. Today the camp is cared for by the Friends of Last Chance Canyon. The cabin and grounds have been left pretty much the same way Bickel left them in 1987 and are considered to be a true representation of a depression-era mining camp. 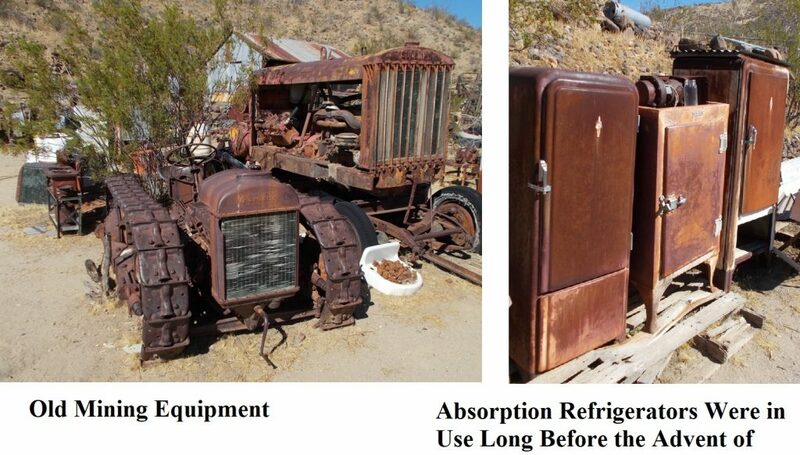 Items at the site include antique tractors, mining equipment, vintage travel trailers, antique appliances, rock samples, and Rube Goldberg contraptions that only Walt himself knew what they were designed to do. Visitors are welcome when the caretaker is on site (mostly weekends). The grounds are considered closed when a caretaker is not present. If the caretaker is not present, much can be seen and enjoyed from the perimeter of the camp. You can learn more about the camp by clicking here. Bickel Camp is miles from the nearest paved road. It can be reached by high clearance two-wheel drive vehicles piloted by seasoned drivers, but a four-wheel drive vehicle or ATV is better suited as there are sandy washes along the route. Click here for a map and additional driving information. 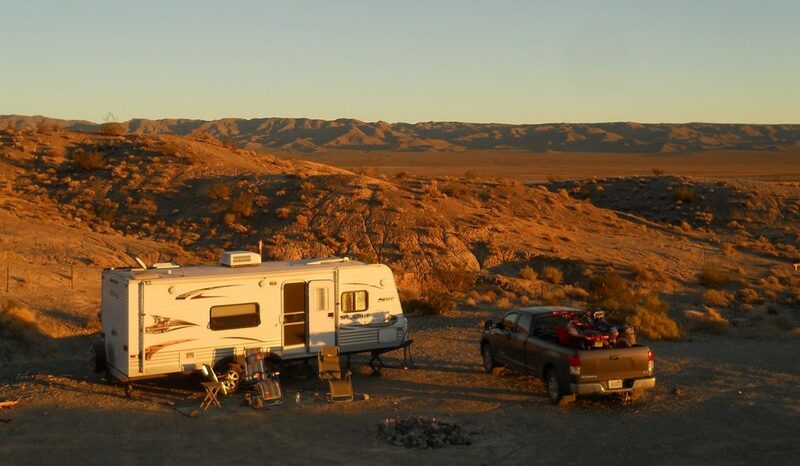 The nearest developed campground is at Red Rock Canyon State Park. There are no hookups, so you might as well camp for free in the boondocks. Exploring the enterprising spirit of Walt Bickel, just another adventure in RVing! Links to “learn more” and “map” seem to be broken and only go to a web page named BLANK. The link has been updated, please try it again. Thank you for letting us know. I worked for for the BLM in the 90’s in Ridgeçrest as the Field Manager. I transferred shortly after incident you describe. We fashioned an agreement with BLM Nickel Family the group 7ou mention and Maturango Museum and I am sure there are more 5hat I have forgotten. The intent was to preseve the area as a depression àreà example. Man, I cannot believe how many errors in my comment! Tried to do from a tablet. So let’s start over. I was the BLM Manager in Ridgecrest during the 1990’s. I moved there shortly after the incident you described. The incident was part of an effort by the BLM throughout the Desert to to assure compliance with the 1872 Mining Law. There were were hundreds of so-called miners who tried to appropriate public lands under the guise of the law. They were not miners in any stretch of the imagination. They simple were squatters. Walt Bickel was not one of these people. He worked very hard during the depression to develop mines and support his family.. He grew old over time and could no longer undertake the rigors of mining. However, he remained in his cabin. so technically he was breaking the law. However, this is a good example of where BLM was legally right but totally wrong on a social scale. In other words, BLM won the battle but totally lost the war in the publics’ mind.. After I arrived and assessed the situation with staff and the local public, we fashioned an agreement with the Bickel Family, the Group you mentioned,, Maturango Museum, Walt’s ex-son-in-law (he was designated caretaker), and several others that I forget. The intent of the agreement was to preserve an example of depression era mining in place for the public to enjoy. I am glad to see the site still exists 25 years later..